Arachidonic acid (AA) and other 20 or 22-carbon polyunsaturated fatty acids (PUFAs) are precursors of lipid mediators of inflammation known as eicosanoids. These mediators are critical in disease processes and in regulating normal cell function. Remodeling is important in maintaining homeostasis and in regulating cell function by dictating how PUFAs are converted to lipid mediators of inflammation. Thus, PUFA remodeling is a critical process in the biosynthesis of a multitude of mediators, and understanding this process will unravel better therapeutic targets for controlling inflammatory diseases such as asthma and Alzheimer's disease. 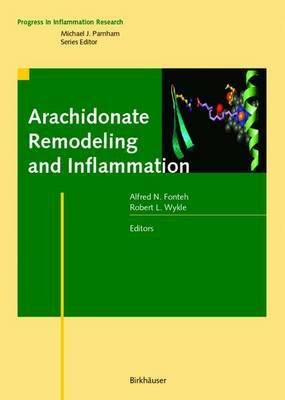 AA metabolism is described in an integrated context linking the remodeling processes with the biosynthesis of mediators and diseases. By following the movement of the substrate (AA), the volume describes how upstream biosynthetic pathways influence the formation of lipid mediators of inflammation, showing the metabolic interrelationship between all AA-derived mediators.